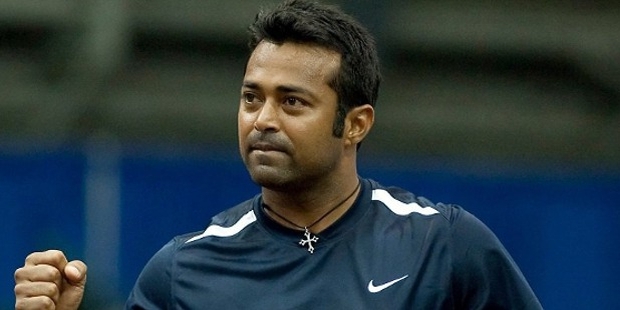 Leander Paes is one of the most renowned professional male tennis players from India. He is deemed to be among the best mixed double players as well as an excellent doubles player in history. 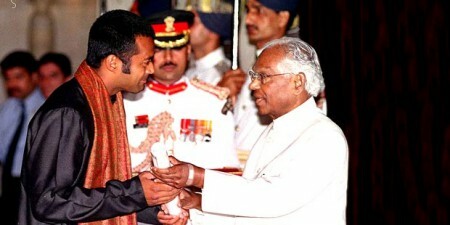 Leander Paes holds several international records in professional tennis with some very rare achievements to his credit. Leander Adrian Paes was born on the 17th of June in 1973 in Kolkata (then Calcutta) in Eastern India. He was born to a Goan father, Vece Paes and Jennifer Paes. He attended the La Martiniere Calcutta as well as the University of Calcutta when he went on to attend the St. Xavier’s College. 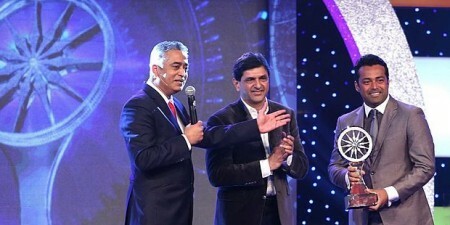 Owing to both his parents being avid sports personalities, his father being the midfielder in the Indian men’s field hockey team and winner of the bronze medal at the 1972 Munich Olympics and his mother being the captain of the Indian Women’s basketball team in the 1980 Asian Basketball Championship, Leander started with the Britannia Amritraj Tennis Academy in Chennai (then Madras) in 1985 under the coaching of Dave O’Meara. He won international recognition after winning the 1990 Wimbledon Junior championship title and earned the top spot in the world junior rankings. 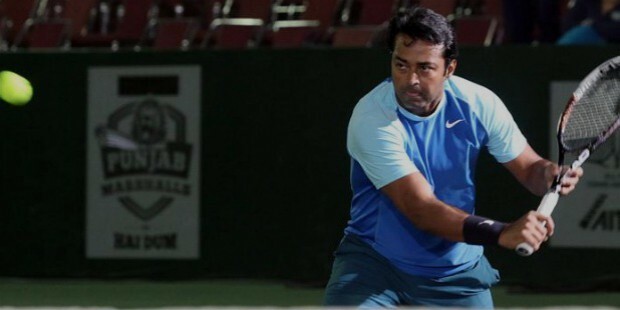 In 1991, Leander turned professional and went on to win his first professional titles, the Junior Wimbledon and the Junior US Open, which earned him the no. 1 ranking in the world junior international tennis rankings. 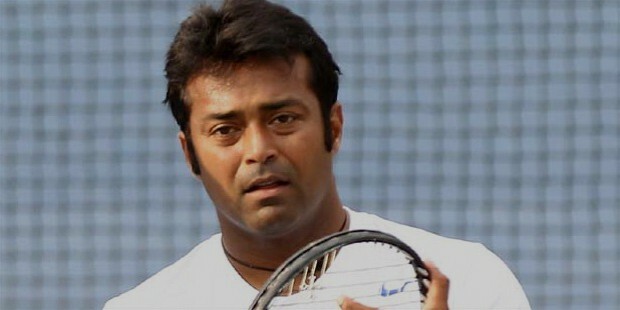 In the 1992 Barcelona Olympics, Leander played in the doubles with Ramesh Krishnan and went till the quarter-final round. 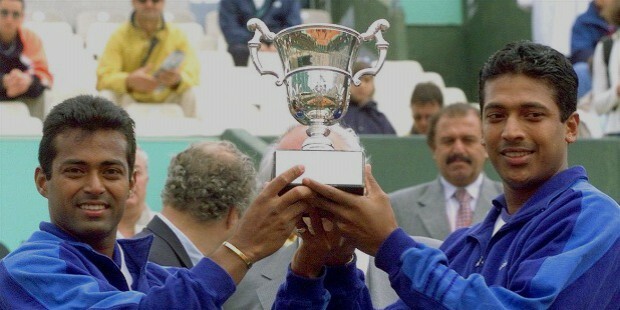 In the 1993 ATP Circuit tour, Leander reached the US Open doubles semi-final with the partnership of Sebastien Lareau. Although his performance in 1994 was not remarkable, Leander made a comeback and reached the quarter-finals of the 1995 Australian Open in the doubles event partnering with Kevin Ullyett. 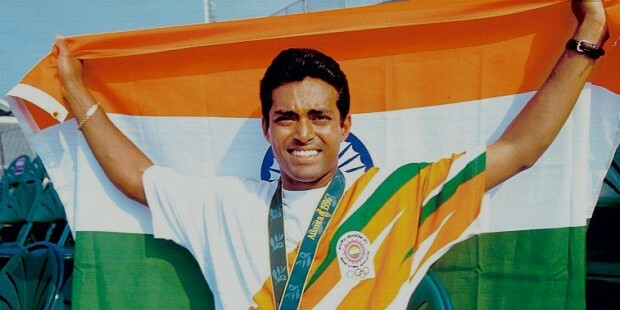 In the year 1996, Leander made the start of his soon-to-be-legendary partnership with Mahesh Bhupathi, as the duo went on to break several records and win more titles. The team reached the semi-finals of the 1997 US Open. This brought Leander’s ranking from 89 to 14 by the end of the year. In 1996, he broke an Indian professional tennis record when he went on to win the bronze medal at the Atlanta Olympics, after more than 40 years. He received the highest Indian sports award for this achievement, the Rajiv Gandhi Khel Ratna award in the same year. 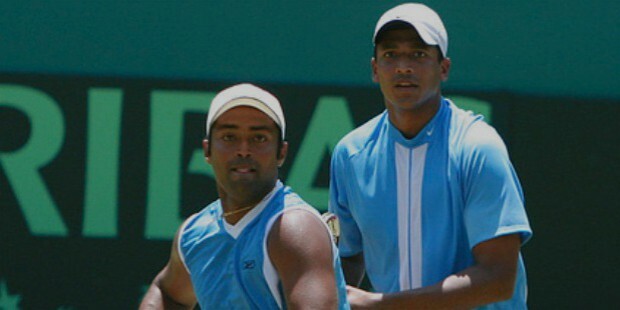 In 1998, the duo of Leander and Mahesh showed excellent form as they reached the semi-finals of 3 Grand Slams – the US Open, the French Open and the Australian Open within the year. Leander also won the singles ATP title at Newport. This was also the year that he beat tennis legend Pete Sampras in the ATP tournament held in New Haven. The year 1999 proved even better with the duo reaching the semi-finals of 4 Grand Slam tournaments as well as winning the French Open and the Wimbledon in the process. 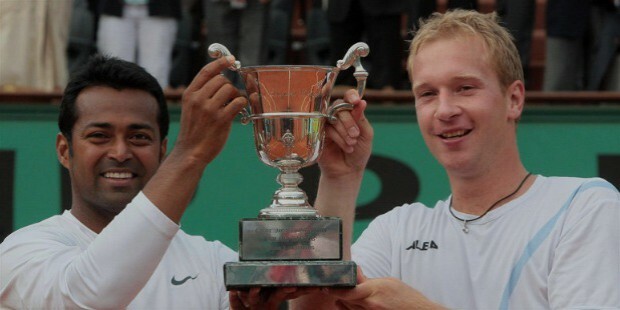 This made them the first Indian doubles players to have won a doubles event in a Grand Slam. Leander also partnered with Lisa Raymond and went on to win the Wimbledon mixed doubles title. This also made him the top ranker in the world doubles ranking. In the year 2001, Leander went on to win the French Open but his doubles partnership with Mahesh suffered setbacks as the duo lost 3 Grand Slam titles in the first rounds. At the 2002 Asian Games held in Busan, the duo won the gold medal in the doubles event. In 2003, Leander focused more on his doubles and mixed-doubles skills and went on to win the mixed-doubles event at the Wimbledon and the Australian Open with his partnership with Martina Navratilova. Shortly after winning the title, Leander was diagnosed with neurocysticercosis, which is a form of a brain infection caused by a parasite. 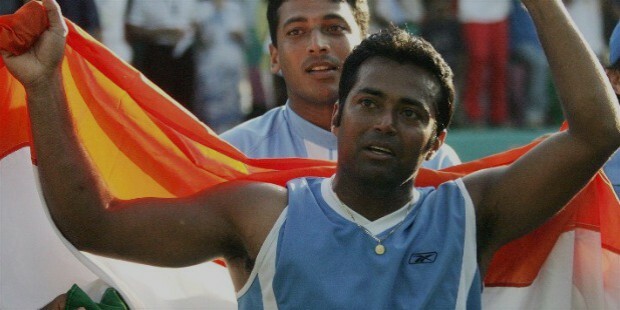 In the 2004 Athens Olympic Games, Leander partnered with Mahesh and the duo managed to reach the semi-finals. In the 2006 US Open, Leander partnered with Martin Damm and won the doubles event. 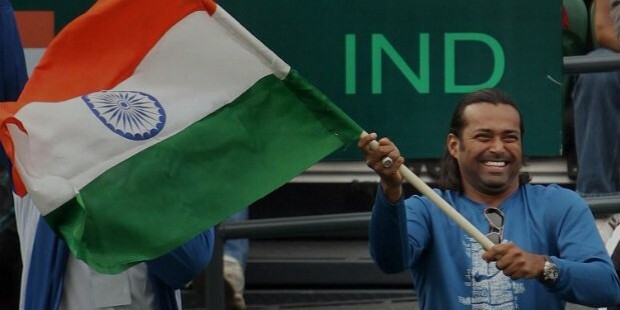 In the same year, he led the Indian contingent at the Doha Asian Games and went on to win 2 men’s doubles event with the partnership of Mahesh as well as the mixed doubles partnership with Sania Mirza. In the year 2008, Leander went on to win the mixed-doubles title at the US Open. 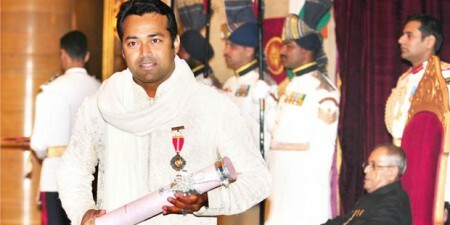 The year 2009 proved to be better for Leander as he went on to win the French Open. He also partnered with Lukas Dlouhy to win the doubles title at the US Open. He was also the runner-up in the US Open mixed-doubles event. 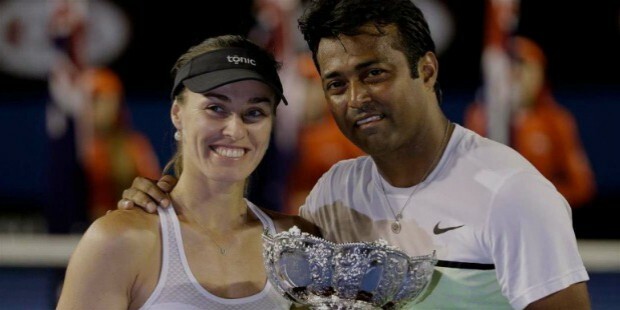 In the year 2010, Leander partnered with Cara Black and went on to win the mixed-doubles title at the Australian Open. This made it his 4th overall and the 3rd consecutive Grand Slam win in partnership with Black. In the year 2012, Leander partnered with Elena Vesnina and reached the semi-finals of the Wimbledon Championships’ mixed-double event in July. However, the duo lost in the final round to Mike Bryan and Lisa Raymond. Leander won the 2013 US Open in the men’s doubles event with the partnership of Radek Stepanek, which made it his 3rd US Open title in the men’s doubles event as well as his 14th Grand Slam victory. Leander went on to win the 2014 Malaysian Open title in the men’s doubles event with Marcin Matkowski. 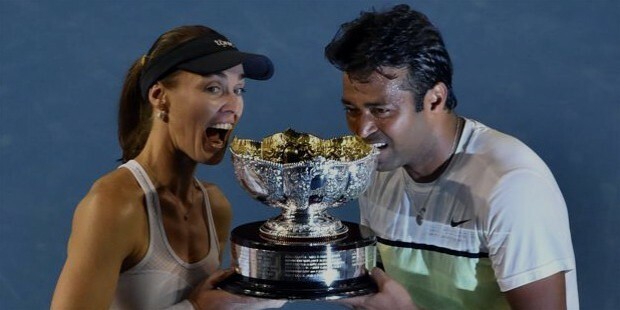 In the February of 2015, Leander clinched his 7th Grand Slam mixed-doubles title when he partnered with Martina Hingis and won the Australian Open. This made it his 15th major title win and his 3rd mixed doubles win at the Melbourne Park. The duo went on to win the mixed-doubles title at the Wimbledon Championship. The duo again created history after winning the US Open as well the same year. In 2016, Leander has continued his partnership with Martina and the pair has won the French Open in the mixed-doubles event. He is set to partner with Rohan Bopanna for the upcoming 2016 Summer Olympics in the men’s doubles category. 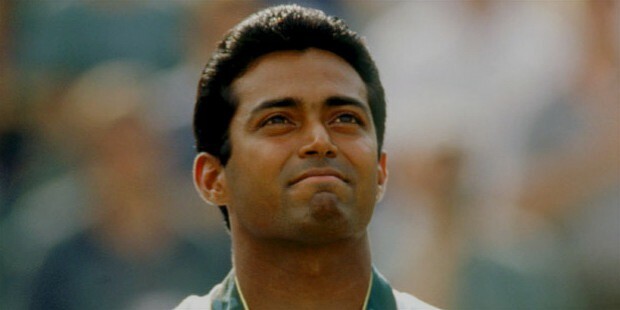 In the Davis Cup, Leander entered the competition at quite a young age (16 years) and partnered with Zeeshan Ali to win the 1990 Davis Cup men’s doubles title. He is amongst the top Indian tennis players in the Davis Cup with an overall record of 89-32 points as of 2015. Leander Paes is truly one of the best Indian professional tennis players ever and has won 8 men’s doubles Grand Slam title, 10 mixed doubles Grand Slam titles. He is also credited as being the oldest man to ever win the Grand Slam title. In the year 2010, Leander joined the Olympic Gold Quest’s Board of Directors. It is a foundation he co-founded to support struggling talented athletes in the country. 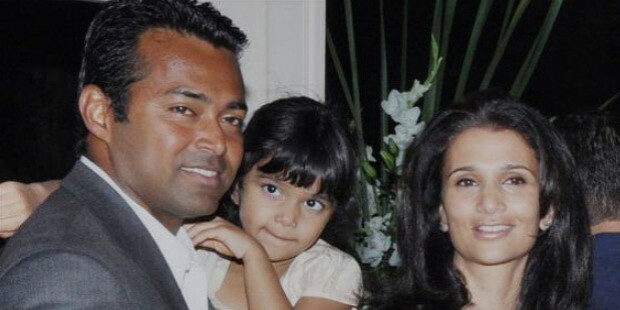 Leander was in a close relationship with Rhea Pillai in 2005 and the couple have a daughter.